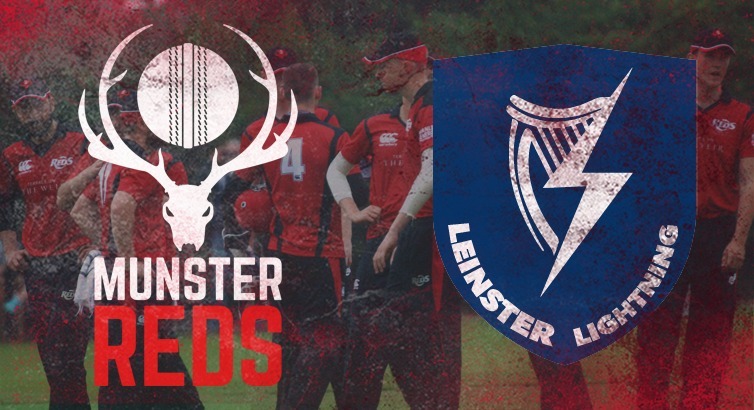 Coach Ted Williamson and the Munster Reds selectors have announced their side for the Reds’ Hanley Energy Interprovincial T20 opener against the Leinster Lightning at Pembroke CC this Friday. After a momentous week for Irish cricket, the Reds will hope to build on some promising performances in their maiden season last year, and spring an early surprise against four-time champions Lightning, with the game being switched to Pembroke yesterday due to conditions at Cork County being unsuitable, following heavy rain across the province in the last few weeks. YMCA’s Jack Tector will captain the squad, and will relish the opportunity to lead a very young and dynamic group of players in this year’s competition. The Reds squad on Friday will have seven players making their debuts: Cork Harlequins’ Ruadhán Jones and Cork County’s Jeremy Benton, Phoenix’s Tom Anders - brother of Rory also included in this year’s squad, Merrion’s Jack Carty, Stephen Doheny of Rush, and Max Sorensen of The Hills. Limerick’s Murtaza Sidiqi has also been included for the first time on the back of some fine performances in the All Rounder Cricket Munster Premier Division, as well as progress he’s made as part of the Munster Heat squad last year. Four of the side that faced the Lightning in the final game last year return, with Yaqoob Ali (Co Kerry), Jack Tector (YMCA), Jamie Grassi (North County), and Robert Forrest (Clontarf) once again involved. Cork County pair Aaron Cawley and Abubakar Saddique are both ruled out of contention through injury, while Rory Anders, David Delany and Nicolaas Pretorius are unavailable for selection due to University commitments. As Max Neville is unavailable for the campaign due to exams, the young seamer has been released back to Cricket Leinster and has been replaced in the squad by the aforementioned Tom Anders. Hanley Energy Interprovincial T20: Munster Reds v Leinster Lightning, Pembroke CC, 5pm. Jack Tector (YMCA, Captain), Yaqoob Ali (Co Kerry), Tom Anders (Phoenix), Morne Bauer (Cork County), Jeremy Benton (Cork County), Jack Carty (Merrion), Robert Forrest (Clontarf), Stephen Doheny (Rush), Jamie Grassi (North County), Ruadhán Jones (Cork Harlequins), Max Sorensen (The Hills), Murtaza Sidiqi (Limerick).